Always check the IP code for outdoor Christmas lighting. It should be IP44 or higher. 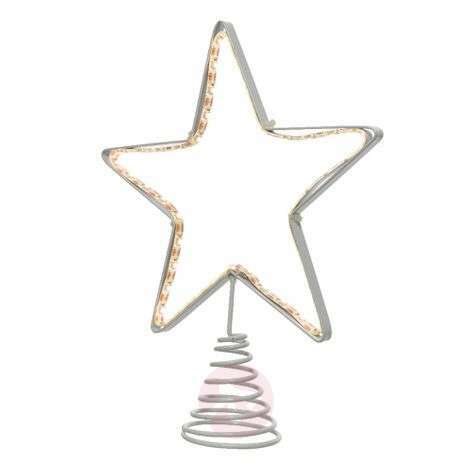 If you have changed the bulbs on your fairy lights, make sure you change all the bulbs to LEDs at once. Do you love smart lighting? 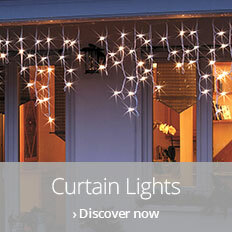 Then look out for intelligent lighting for your Christmas decorations, too. This Christmas is going to be festive and smart. 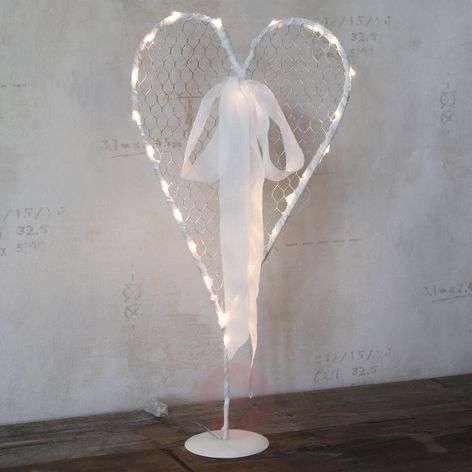 Even the fairy lights are connected to your smartphone and can be controlled via an app. This is your chance to create the most amazing Christmas tree scenarios! When should you put up your Christmas lights? There is no universal start date for putting up your Christmas decorations. 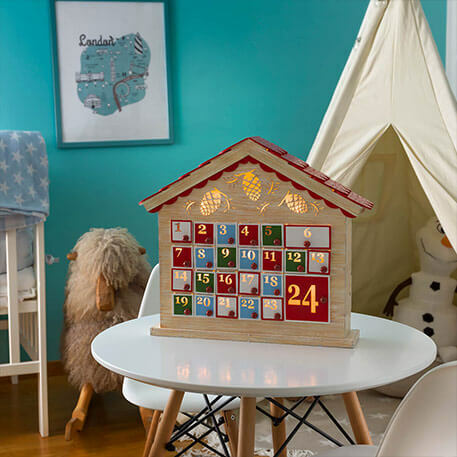 You can, of course, use the first Sunday of Advent as your cue to start decorating. At the end of the day, it really depends on when you feel in the Christmas spirit. 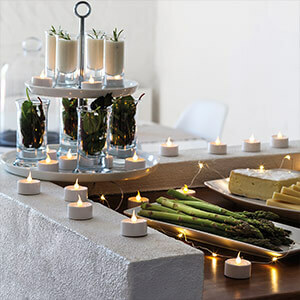 Tip: Your Christmas lighting shouldn’t irritate anyone. 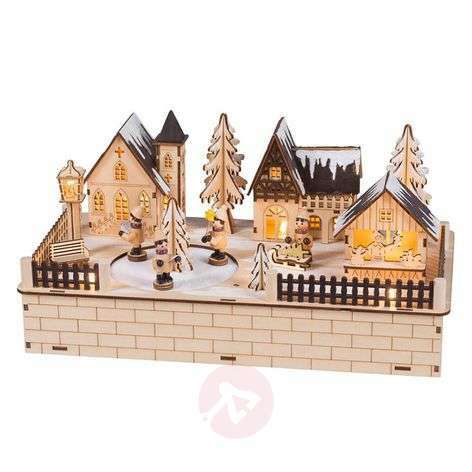 You should only put up flashing and musical decorations in such a way that they don’t disturb your neighbours’ sleep. Only place these outside if your garden is big enough to not impact upon your neighbours’ peace. If the neighbourhood is woken up after the fifth round of “Jingle Bells” it won’t feel that fun anymore! If in doubt, simply speak to your landlord and neighbours. Maybe you could even infect a Scrooge with your own enthusiasm! 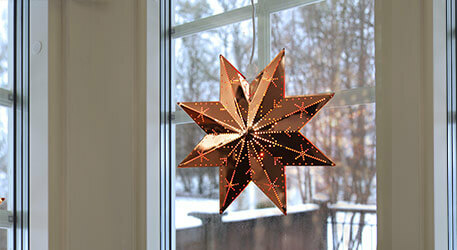 Christmas lighting for indoors: The good news is: the choice gets larger each year and smarter, too. 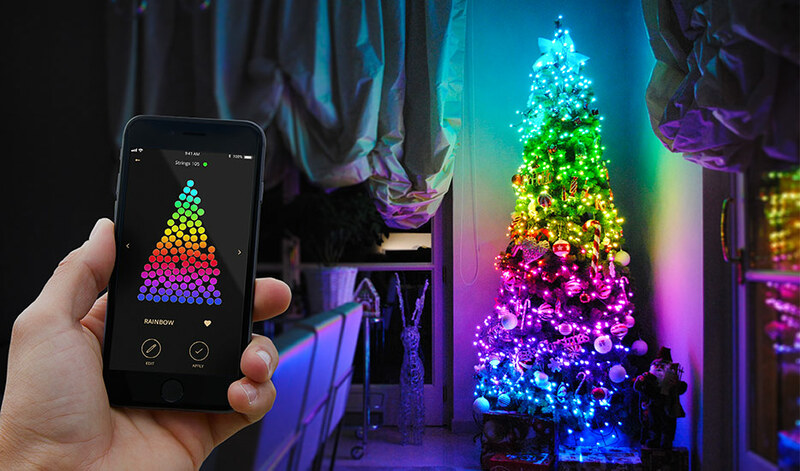 You can now control your fairy lights using a smartphone app or change the colour of your Christmas star by remote control. 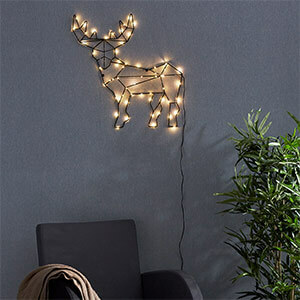 Fairy lights are, of course, a must for the garden. If you can control them from the window with your smartphone, all the better! Do you want to erect really heavy-duty equipment and impress your neighbours? Then how about a Christmas figure to get one step closer to your dreams? Rope lights and curtain lights also look great in the garden, just make sure they have a suitable IP code – it should be at least IP44. This offers protection against foreign bodies over one millimetre in size, and against spray water. 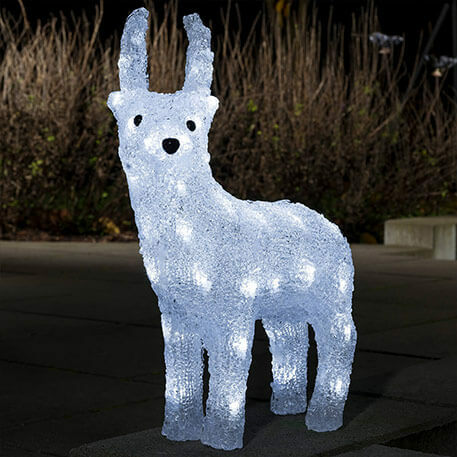 Would you love an illuminated zoo in your garden? Then place some moose, polar bears, birds, reindeer and seals on your winter meadow. 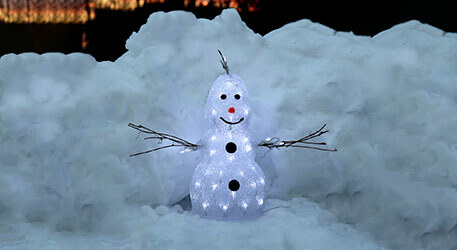 Illuminating Father Christmases and snowmen look great on balconies and terraces. 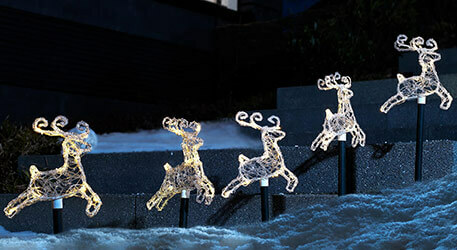 Meanwhile, LED silhouettes add a cool and clean style to your outdoor decorations. Let your imagination run wild! 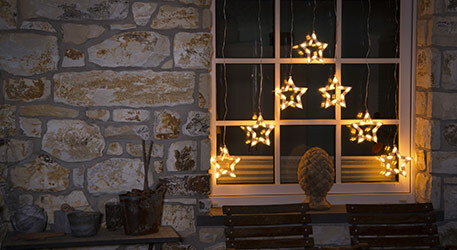 The best thing about window decorations: they enhance your outdoor space, too, as your neighbours and passing pedestrians can enjoy your light design. There is plenty of choice here too. 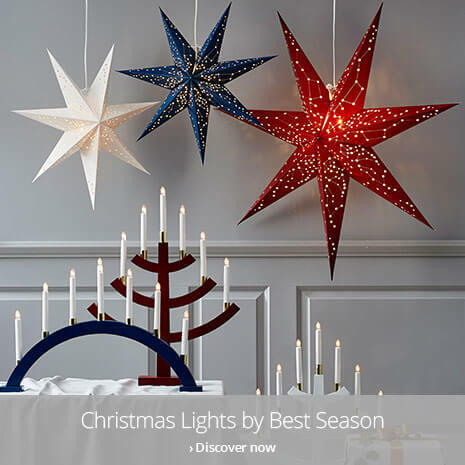 Some ideas: Schwibbogen look great on window ledges, you can decide whether to hang a Christmas Star from the window or to place it on the window sill. Maybe you fancy a curtain light or a cheeky decorative figure? Take your time browsing through the options! 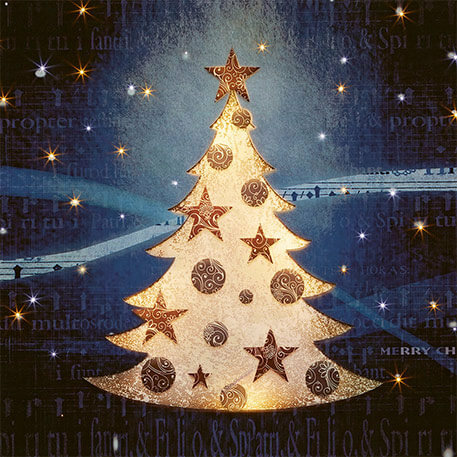 Would you like to switch off fairy lights, tree and LED candles or even Advent calendars from the comfort of your sofa by remote control? 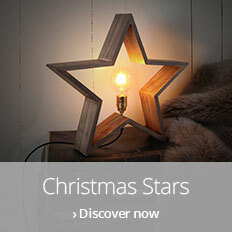 Gone are the days when you had to crawl under the Christmas tree to plug in the fairy lights. 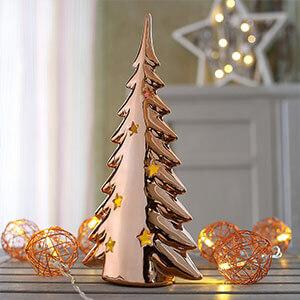 With a remote control, all it takes is a click and you can enjoy your tree shining in the finest colours. Not in the mood for wires? If you love Christmas decorations and like lavish illuminations, you can soon find yourself in the midst of a mass of cables and plugs. The best way to avoid this is to simply search for Christmas lights with batteries. There is plenty on offer here. Super convenient and flexible. 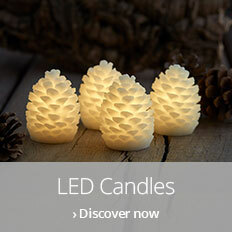 You don’t fancy having to do a tour in the evening to turn off all of your Christmas lights by hand? A timer could be just the thing. 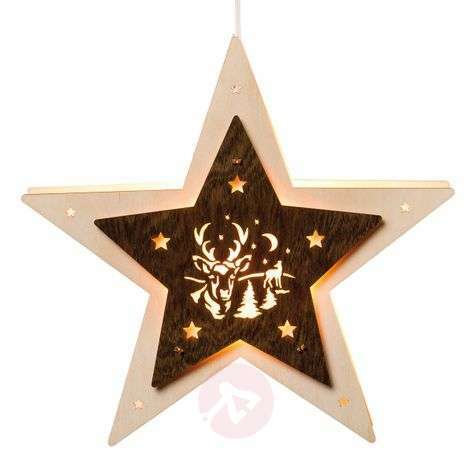 Programme your lights so they shine as you want them to. It also means that your home will always look like someone is at home – great for putting off burglars. Do you need replacement bulbs for your Christmas lights? There is nothing more annoying than getting your Christmas decorations from the loft only to realise that the bulbs are broken. 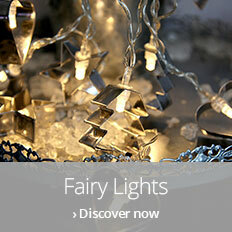 If you still love your old fairy light, simply order a handful of replacement bulbs. Tip: If you are replacing conventional light bulbs with LED bulbs, make sure to change them all at once. Otherwise they might not work properly. Have a read through our sub-category “Replacement bulbs” when you get a minute. If you have any questions, our team of experts are happy to help. You can call our team of experts on +353 1 699 2138 or use the contact form – we’re happy to help!